TUCSON, AZ (Tucson News Now) - Check out this spectacular image of a rainbow plus anti-crepuscular rays over Bryce Canyon located in southern Utah. This was image snapped by photographer Jim Rummel and is today's NASA Astronomy Picture of the Day. Notice these anti-crepuscular rays are different from the more commonly noticed crepuscular rays. Tucson News Now's Chief Meteorologist Kevin Jeanes posted this story about crepuscular rays. Crepuscular rays are shadows cast by clouds or mountains around sunrise or sunset, and are such a common sight in Arizona, because of the landscape and towering summer storms that they are part of the Arizona flag design. Crepuscular rays are actually parallel shafts of light and shadow. The convergence is an optical illusion. Think about looking into the distance along a long, flat road. The two sides of the road appear to converge at the horizon, but in reality these sides are parallel. The same optical illusion happens with the shafts of light in the air. They appear to converge at the horizon. The difference between crepuscular rays and anti-crepuscular rays is simply the direction from which someone is looking. 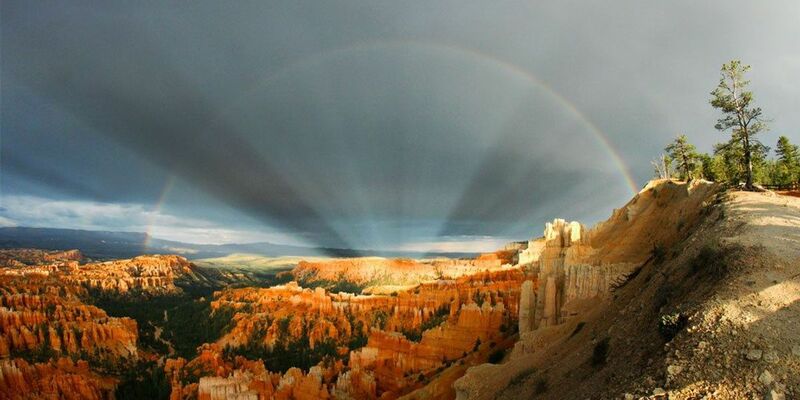 Notice in the Bryce Canyon photo the dark shadows of the rays appear to converge in the sky OPPOSITE of where the sun is located. In this case, the photographer was looking away from sunset and towards the east. The shadows appear to converge in the distance opposite of the sun. If anyone saw these rays when looking towards sunset, they would be called crepuscular rays. Copyright 2015 Tucson News Now. All rights reserved. High pressure builds through the next several days bringing near record heat. FIRST ALERT FORECAST: Summer is coming! FIRST ALERT FORECAST: Who’s ready for a little thunder? FIRST ALERT FORECAST: A cold front will bring cooler weather and isolated shower chances. FIRST ALERT FORECAST: We’re getting a break from the 90s....for now.